Monday, here's the thing, I need you to keep it to yourself: the microwave dinner, the big bag of liquorice allsorts, the no alarm clock. Just between us. Got it? I'm on my own for a couple of days here (thanks to a business trip which definitely did not include any hangers-on), so it's probably a nice lamb chop for dinner, box set "Zelda" for afters and then early to bed with my newly arrived Shetland Wool Week Annual. Is that my mail of the week? Why yes, it is. I've never been to Shetland, for Wool Week, or at any other time; but a girl can dream if she has the pictures, I decided as I clicked buy as a special treat. It arrived on Saturday morning; and as I took in the gorgeous photos of Shetland countryside I thought to myself - you know, bits of that look very much like bits of this, where I live, not far from here. Too much dreaming and not enough doing, Sian, so we got in the car on Saturday afternoon and we drove right round our Coast Road here. And we saw our version of almost everything in my new magazine: the rocky landscape, the sheep, we saw a lifeboat out training, and a castle, and stone walls and ruined cottages and fishing boats. 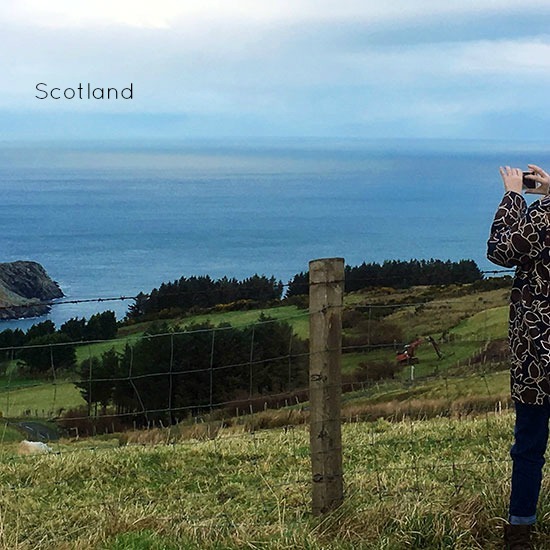 We even saw Scotland. And it was a very, very good reminder of what I have almost on my own doorstep. I will still dream of Shetland, but for now, I have some new local photos and an annual with ideas for a project or two..
made a note. Go on, give 'em a wave! And have a good week! Oh, and thanks to everyone who made suggestions for my huge pile of magazines. Sorry, I realised I ought to have said: we have here a special "books only" charity shop which welcomes good quality magazines. It's a great place to spend an hour. At least. The only problem is that if I take any more there, I'll probably come home with a whole different selection.. Your discovery outing sounds like a wonderful antidote. A couple of summers ago we awakened to the same thing, we have so much right on our doorsteps to discover. While you dream of the Shetland Islands I still dream of their ponies & one in particular from long ago. It's easy to take for granted (or even forget) the delights we have on our own doorsteps. Lovely views and so good to see some blue skies over the weekend. Back to grey here today. You know Sian. I have been all the way to New Zealand now (did you know that by any chance?!) but I have never been to Ireland. I even shared a house with a Northern Irsih girl for 5 years. I think I should amend that soon and take a trip. As you say it is so easy to overlook what is under your nose. I also rather like the idea that you can so easily see the land where your student son is and I have only to get on top of the hill to see Wales where my student girl is. While I am in the rambling mood (you are most likely yawning by now) there have been several programmes on the TV about small wool production. One about Herdwick wool in the Lake District and one about blanket rugs on Mull..
What a perfect reminder that sometimes we have what we seek right in our own backyard. Enjoy the INSPIRATION and looks at Shetland in the new annual! What beautiful scenery you have in your "backyard." I hope you'll share some more as I love seeing landscapes so different from ours. We can take things for granted sometimes, we have lovely scenery round here and on a clear day we can see France in some areas. I can see we are all going to be out exploring our neighbourhood this week. I too love it when you share some of the beautiful local scenery! Having done a brief visit to Northern Ireland I can imagine that quite a bit of it is like Shetland. I am sure you will get there one day - make sure you speak to me before you go and I can point you in the direction of the best Malteaser cake on the islands. Enjoy your annual and hope you have sweet dreams of Scotland. The old 'grass is greener' eh? Glad you found YOUR grass just as good!!! Lovely photo of the countryside you call yours...can't wait to see how you use your photos & good on you having some 'me' time whilst the hubby's away! Licorice Allsorts ROCK;) AND Mum is still in hospital and I need to go to the Op shop to get her a new book. Like you, I KNOW i'm going to come out with more than one!! Oh! And I had no idea you could actually SEE Scotland from yours!! This confused me because I always thought you lived in Scotland, but obviously not! Licorice Allsorts are the best and, luckily for me, none of my family or friends like them so I don't have to share. Nothing post-y this week (apart from a letter returned for insufficient postage - Deutsche Post stick to very strict dimensions! ), but I have been musing on my magazine collection. It's funny what you rediscover on your doorstep once you hanker to maybe be somewhere else. 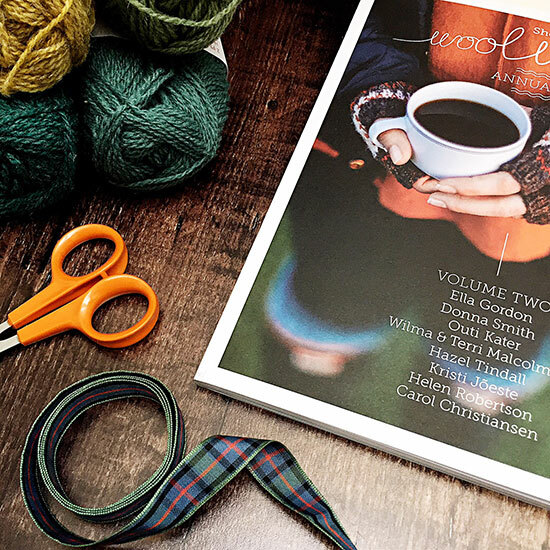 I love that Shetland Wool Week has an annual! What a lovely trip around your own coast road. Glad you were able to spend some quality time together - and now get some time alone. I'm off shortly, leaving himself to potter around without me. Oh I'd so like to visit there! But then you'd like to see our lakes and taste our NY wines...and cheeses....wish this whole travel bit was cheaper! I don't know you had a liking for Liquorice Allsorts, Sian: I must tell DH so has a similar love for them. And indeed, that coastline (and the hinterland too) is very beautiful.I've enjoyed the snaps on here and on Instagram too. As always, a very nicely styled photo! How lovely that a very unusual magazine prompted a close to home scenic tour. 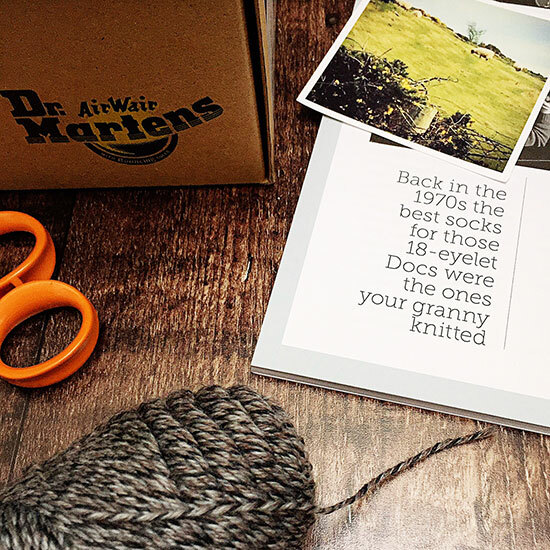 That wool looks fab, I'm sure that by now it is already at least half a pair of socks! Sounds like a wonderful drive. I think once the real spring weather comes we'll have to get out and about as my parents used to say. I think we never really see the place where we live till friends or relatives come to visit.